Zimbabwe’s agriculture output rose by 4 percent in the 2017/ 2018 summer cropping season, despite the mid-season drought that occurred in January, due to Government’s import substitution programmes, a latest livestock and crop assessment report seen by Business Times has shown. The increase in production comes at a time when the Government is making frantic efforts to reduce the import bill by boosting agriculture production. Consequently, this will boost country’s hopes of reaching the upper middle income economy of around $4000 per capita by 2030. However, due to mid-January drought maize production stumbled a bit to around 900 000 metric tonnes from 2,2 million tonnes last year since some farmers who planted early have had some write offs during that time. Generally, agriculture performance had been on the upward trend boosted by tobacco, cotton, horticulture and soya beans which recorded positive performances. Tobacco is the highest foreign currency earner in the country, earning over $1,5 billion annually. Economists estimate that tobacco contributes over 6 percent of the country’s gross domestic product (GDP). So far tobacco farmers have already earned $665,3 million after delivering close to 228 million kg on day 74 of 2018 tobacco marketing season with over 20 days to spare before the closure of this year’s marketing season. This is a huge jump of over $163 million dollars as the tobacco farmers during the same period farmers earned $503 million after delivering over 170 million kg. Tobacco industry is generating over $8,9 million per day, approximately the most liquid industry in the country. International buyers have mobilised $900 million worth of foreign currency to buy the country’s golden leaf. After the closure of the tobacco marketing season in August, the country will look for other facilities like Afreximbank backed facilities to oil the cash situation in the country during the dry period of August to February. On top of the tobacco earnings that the farmers get from the floors, Government through the central bank farmers are given a 12,5 percent export incentives in form of bond notes to stimulate production. Buoyed by this year’s success tobacco farmers have increased to over 144 000 from 98 000 this year. Soya beans is critical in the making of cooking oil in the country and its increased production will help the country to save much needed foreign currency. The country’s soya bean production has increased by 66 percent to 50 000 metric tonnes from 30 000 tonnes the previous season. However, the country needs 200 000 metric tonnes of soya for oil production and cattle feed. This means the country has a shortfall of over 150 000 tonnes of soyabeans this year. Zimbabwe requires 16 600 tonnes of soya monthly which means the country has harvested soya beans stock of only three months. Oil Expressers Association of Zimbabwe (OEAZ) alone need over 120 000 tonnes of soya to produce enough cooking oil for the country. Close to $200 million will be required to import edible oil while farmers will earn $39 million from their 50 000 tonnes of soya beans. Government is mobilising $150 million to produce 200 000 tonnes of soya under Command Agriculture meanwhile, oil expressers are mobilising $100 million to produce soyabeans. 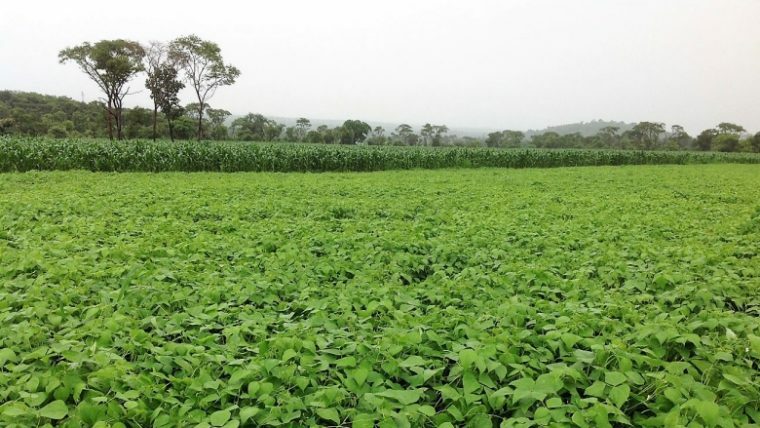 More farmers are expected to grow soyabeans in the 2018/2019 summer cropping season due to attractive prices of $780 per tonne. OEAZ president Busisa Moyo told Business Times that the price will stimulate production in the soya production. “The $780 per tonne price is not only attractive to farmers but will also increase production in the soya sub sector. Various farmers will borrow money to the banks to produce the leguminous crop. “However, more foreign currency is needed to import crude oil to supplement the three months stock of soya beans,” said Moyo. The Government has assigned Cotton Company of Zimbabwe (Cottco) to contract nearly 400 000 farmers under the Presidential Cotton Input Scheme after investing $62 million into cotton production. Consequently, cotton production is expected to increase by 36 percent to 100 tonnes from last year’s 74 000 tonnes. However, vultures have circled the cotton sector as private cotton buyers allegedly put the deceased and children under 10 years on the Agriculture and Marketing Authority data base. Private cotton companies distributed cotton seeds to justify their presence in Gokwe and other cotton producing areas. Government has moved to rectify illicit deals in the cotton sector. Maize is the country’s staple food and its self-sufficiency is critical to country’s growth as much needed foreign currency will be saved and channeled towards other developmental projects. Zimbabwe needs 1,8 million tonnes of maize for human and livestock consumption and attaining that will ensure around $257 million of forex will be saved. The latest livestock and crop assessment highlighted that the farmers planted hectarage decreased 13 percent to 1,7 million hectares from 1,9 million last year due to weather vagaries. Resultantly, production fell to 900 000 tonnes from around 2,2 million tonnes last year. Government has reassured the nation that the country has adequate food requirements until the next harvest due to late rains that have improved crop situation in the second half of the summer season. The country has strategic reserves of above 1,1 million tonnes, that quantity added to 900 000 tonnes translates to two million tonnes, which is more than enough to feed the country. Lands, Agriculture and Rural Resettlement Deputy Minister Davison Marapira said: “Last year, we have had an excellent summer cropping season which gave the country an output of above two million tonnes of maize which left a health grain strategic reserve as more people had their own grain in their households. “Though I don’t have the actual figure of the grain output, we are expecting yield of above 850 000 tonnes this year. We would like to reassure the nation that we have adequate supplies until next April.”. Official figures show that the national herd increased to over six million from 5,6 million last year due to improved pastures. Unlike crops which were affected by mid-summer drought cattle improved during that period. Good second half rains which improved crops further improved cattle grazing areas and water sources levels which will ensure that the stock have enough grazing area. Of late there have been a plethora of diseases which are threatening to wipe out the national herd which has been on the rise. Notable diseases are January disease, heartwater and anthrax among other livestock diseases. Next articleZimbabwe: Why we should support our start-ups?